Preheat oven to 450° F. Spread pie filling onto crust, leaving a 1" border around the edge. In a medium bowl, combine oats, flour, brown sugar and cinnamon. With fingers or with a fork, cut butter into dry ingredients until mixture becomes crumbly. Do not over mix. 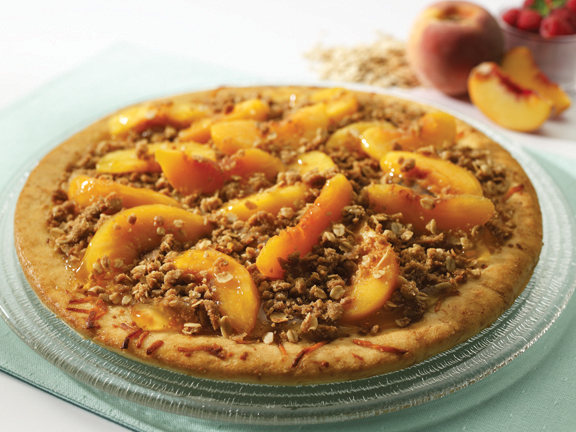 Sprinkle crumble topping over the top of the peaches evenly. Bake for 8 – 10 minutes until crust is light brown and top is bubbly.